This is the current Argyle Cheese Farmer facility in Argyle, where it manufactures cheese, yogurt and similar products. 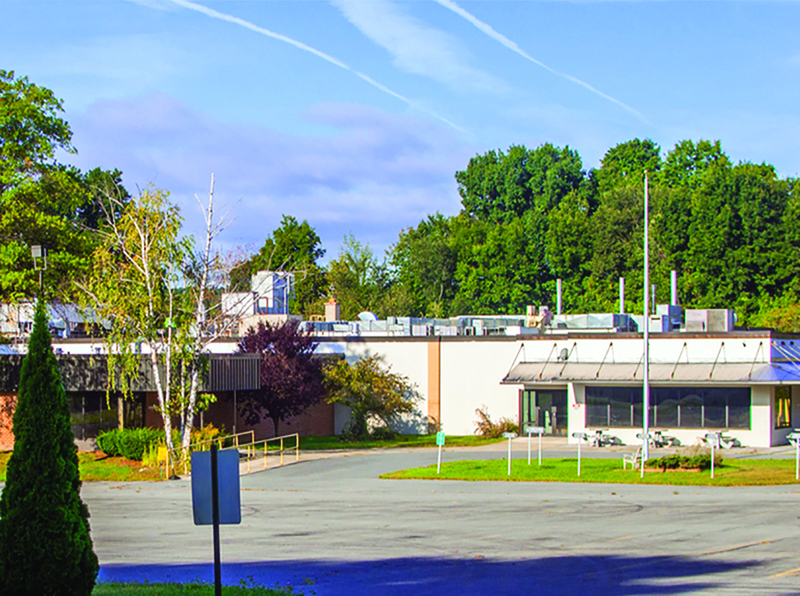 The company plans to move manufacturing operations to Glens Falls. Argyle Cheese Farmer will quadruple its space when it moves into a building on Pruyn’s Island in Glens Falls. Marge Randles, co-owner of the company with her husband, Dave Randles, said they had been looking, unsuccessfully, for three years for a suitable space in Washington County. She said they expect to maintain a cheese-aging and packaging facility at the current farm location in Argyle, but most of the rest of the manufacturing operation will probably move to Glens Falls. How quickly the transition takes place will depend, in part, on whether the project is among those approved as part of the Glens Falls Downtown Revitalization Initiative. 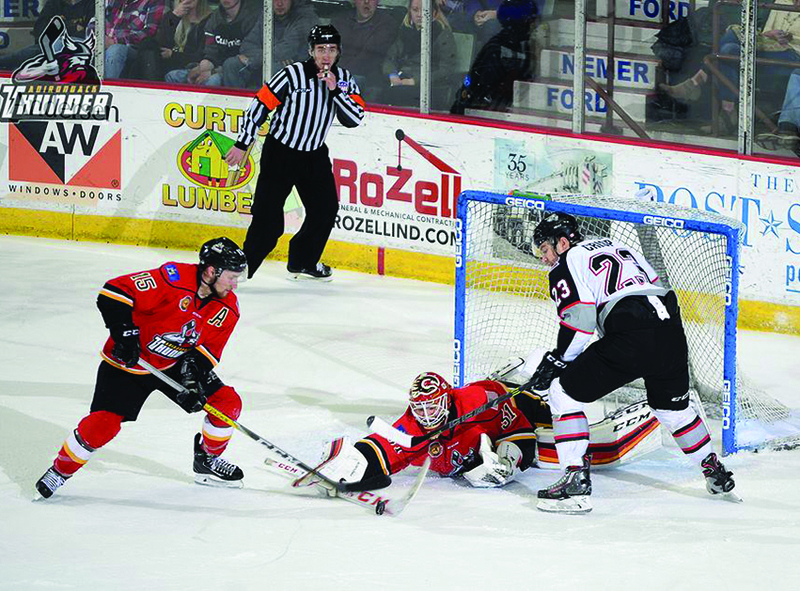 The Adirondack Civic Center Coalition Inc. will purchase the ECHL Adirondack Thunder from the Calgary Flames in a deal that ensures continued operation of professional hockey in Glens Falls. The ECHL board of governors unanimously approved the sale in February, providing coalition representatives with a seat on the ECHL board. The purchase price was not disclosed, but the coalition is launching a “Keep Hockey Here” fundraising campaign to solicit the additional funds necessary for a successful team ownership. It has already raised $200,000 of the $1 million campaign goal, including contributions from coalition members. The coalition said any profits generated by the team will be used in support of the team and the Civic Center. None of the Coalition members or hockey board of managers will receive any profits. 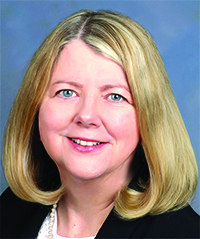 Glens Falls National Bank and Trust Company has promoted two senior officers. Andrew Wise was promoted to the new position of chief administrative officer and Christine Snow was promoted to senior vice president, branch services. Wise will report to the CEO and assist with the company’s overall administration, strategic planning and operational management. 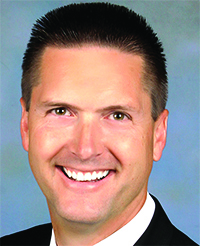 He joined the bank in 2016 as senior vice president of administration and has more than 25 years of operational and information technology management experience. 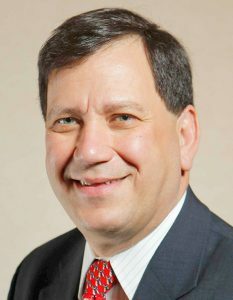 Wise has a bachelor’s degree from Boston University’s School of Management and is a licensed New York state insurance broker. He serves on the board of the Wesley Community and is a member of the Saratoga Springs Lions Club. Snow will continue to manage the company’s branch network and oversee retail banking policies, products and procedures. She joined the company in 2016 as vice president of branch services, bringing more than 30 years of retail banking experience to the position. She has a bachelor’s degree from Russell Sage College. This sign welcomes people to R.S. Taylor & Sons Brewery in Salem. R.S. 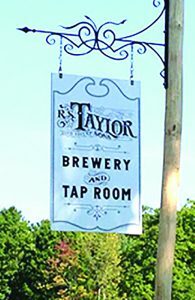 Taylor & Sons Brewery in Washington County hopes to open soon in Saratoga Springs a tap room for its farm-brewed products. “We hope to be open by Memorial Day weekend,” said Rich Taylor, owner of the farm brewery business at 3602 County Road 30 in Salem. The company currently operates a tap room on the farm property where people go to quaff the locally made product and occasionally listen to music. Under the farm brewery license, companies like R.S. Taylor & Sons are allowed to open up to five tap rooms. The one in Saratoga Springs will be the second. A third is being planned in the Albany area, Taylor said. The 1,600-square-foot space is in Congress Plaza in downtown Saratoga Springs, in an end unit in the southern portion of the plaza. The space was formerly Bubbles Laundromat. Renovations involve putting in a bar and tap service. “It shouldn’t take long to do what we need to do,” he said. The main issue is getting all the necessary operating permits. 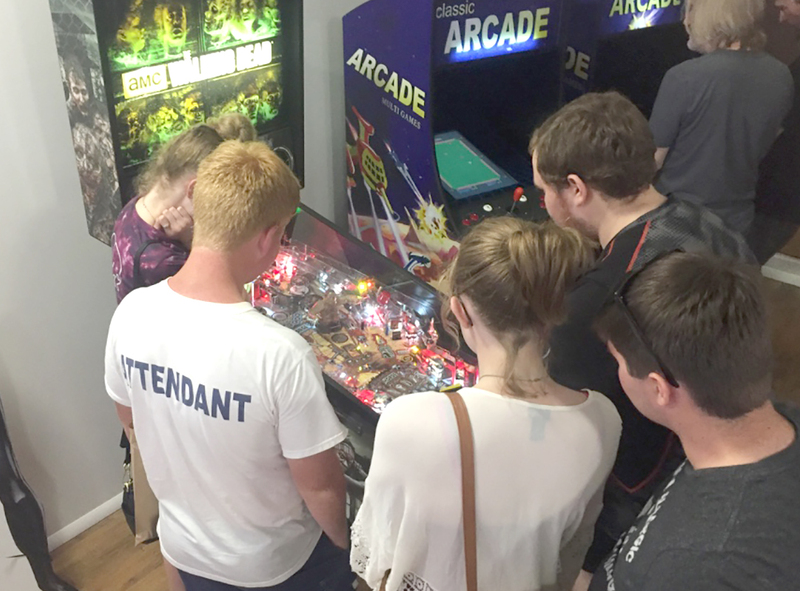 Kids play old-fashion arcade games at the Freakopolis Geekery, a comic book and game store located at 120 Main St. in Whitehall. Games are a big draw to the store, owner Troy Rollins says. Comic books and games have always been a part of Troy Rollins’ life. His childhood centered on enjoying games and comics with friends. “We’d travel for hours to get to a cool game store,” said Rollins. Now the time has come for Rollins to open up his own game store. He has been involved in independent software development and media production for the past 25 years. The Freakopolis Geekery is a comic book and game store located at 120 Main St. in Whitehall. Rollins operates the store with his sons, T.J. and Ian. Both went to SUNY Adirondack. He wanted to create a business that they could be involved in together as a family. 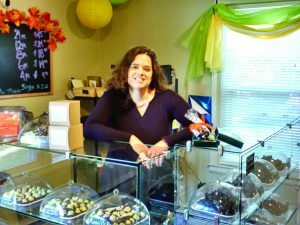 Deb Morris, a chocolatier and co-founder of Barkeater Chocolates in North Creek, employs eight people at her production facility and her products are widely distributed. Barkeater Chocolates will soon have its gourmet chocolates, handcrafted in North Creek, available in a local grocery store chain. The company announced March 2 that its products are being rolled out to 72 Price Chopper and Market 32 stores across New York state over the course of the next several months. The 72 stores are offering Barkeater’s famous Barkeater Bars in five flavors, Grown Up Peanut Butter Cups, a locally sourced all-natural crunchy peanut butter, and two varieties of their “bark” product. “We’ve been working with Price Chopper for several years now, and are thrilled that they are choosing to increase our footprint to all of their New York stores,” said Deb Morris, a chocolatier and co-founder of Barkeater Chocolates. Michael Cruz, president, Lighthouse Advisors LLC in Queensbury. Something strange has happened in the business world. I keep hearing “it’s not fair” as a mantra for excuses. By now, we should realize that life is not fair. So, why keep whining about it not being so? What does ‘fair’ mean? Synonyms are:Â just, equitable, impartial, unbiased. What part of your business world has ever been fair? Let’s blame our parents. When my kids were young the learned “dada” and “mama” first. The third thing they learned to say is, “It’s not fair!” Most parents attempt to logically justify fairness. This is especially true when justifying why one sibling gets something, or gets to do something that another sibling is not getting. Yet, trying to explain that it is ‘fair’ harms the child. It sets in motion that idea that life should be fair. I went in a different direction. I told our kids that they were right when they said it was not fair. I would say, “You are right. It is not fair. Get used to it, because life is not fair.” Harsh as it may be, they all learned that life indeed is not fair.